Maryland Curbscape was contacted by a home owner in Cape St. Clair to do a driveway replacement. Previously the driveway was made from asphalt, which does not have the longevity of concrete. 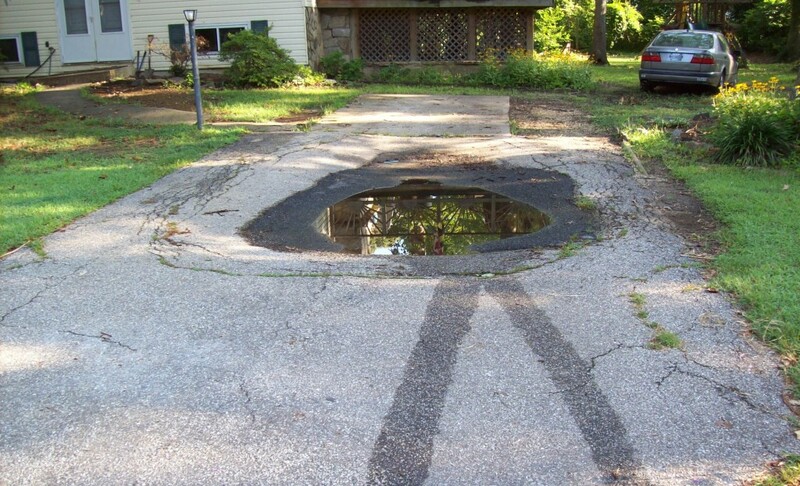 It is a common issue that even though asphalt is cheaper, it does not last as long and frequently gets sink holes, as seen in the before image. Maryland Curbscape had to jack hammered up the old driveway and replaced it with a Grand Canyon stamped concrete driveway. Maryland Curbscape was also able to install the walkway to have a cohesive look out front. This is one of our more popular designs. 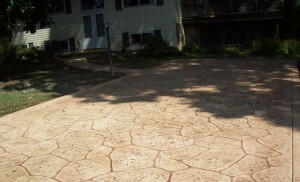 Learn more about driveway replacement and stamped concrete here.